Here is the new member of the WeatherDuino receivers family. 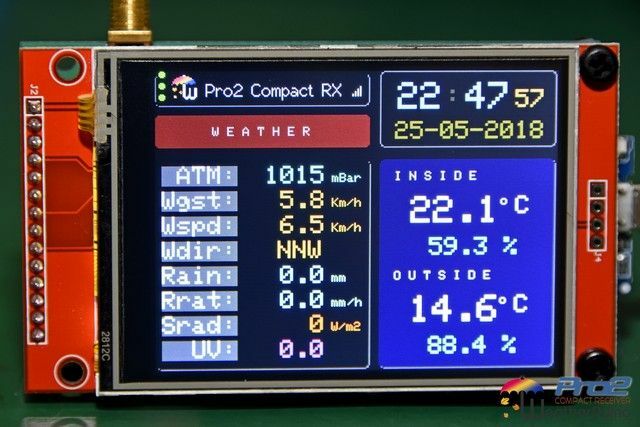 Based on a fast 32 bit microcontroller (Tensilica L106) the Pro2 Compact is the fastest performer among the WeatherDuino receivers. Note: This video was done from an unit running an older software version, current software version uses smooth fonts and a new set of icons. It consumptions so little energy that it can be powered directly through the USB port (even an Raspberry PI USB port). If you only want to upload your weather data to a Wunderground weather page, it can do it through your WiFi connection. There is no need to have a computer running 24 hours a day. Unit is supplied fully assembled, tested and ready to use. 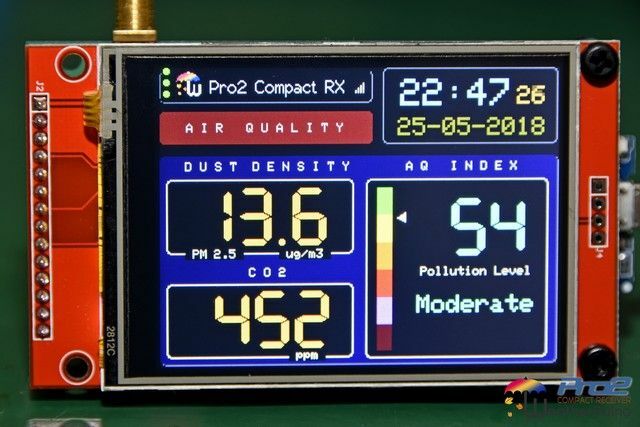 Everything is included: TFT, Atmospheric Pressure sensor (Bosh BME280), Temperature / Humidity sensor, 433Mhz receiver module, etc. Very compact unit. The receiver board was designed to have the same size of the 2.8" TFT board, it is like a backpack. Software updates can be done via OTA. In most cases doesn't even require to first close the weather software (tested with CumulusMX). And of course, compatible with any already existing Transmitter unit. WeatherDuino Receivers - Comparison Chart. 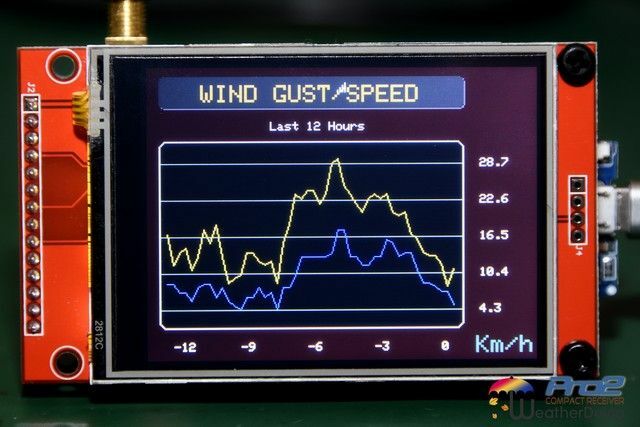 Never was so easy, quick and cheap having an WeatherDuino weather station. Current time: 26-04-2019, 03:05 Powered By MyBB, © 2002-2019 MyBB Group.